Prominent & Leading Manufacturer from Chennai, we offer payloader weighing system, excavator weighing system, truck weighing system, loader scale, weighing on dumper and load indicator for truck. 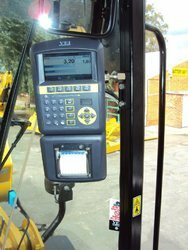 We are instrumental in offering a wide range of Backhoe Loader Weighing System to our clients. In synchronization with the set industry standards, our provided loader weighing is precisely manufactured using high grade components and latest technology. Owing to its optimum functionality and less maintenance, this product is widely appreciated by our precious clients. Moreover, to ensure the best quality, the offered range is tested by our quality experts on different parameters. 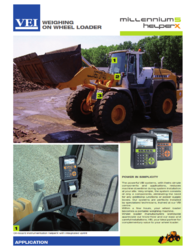 We offer our clients an optimum quality Excavator Weighing System which is manufactured using the best grade components and high-end technology in compliance with the set industry standards. Owing to its corrosion resistance and longer service life, this weighing system is widely demanded among our clients. Furthermore, to ensure the best quality, the provided weighing system is properly tested by our quality controllers on various parameters. the air suspension system to indicate the load on each axle for the entire vehicle. weight of the individual axles. LEDs warns the driver in case of overload. Due to our rich experience in this domain, we have been able to offer premium quality Dump Truck Scale to our valuable customers. 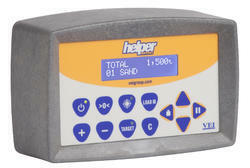 Designed in accordance with the international quality standards, these scales are known for their optimum accuracy. In a zest to attain optimum customer satisfaction, our team of logistics professionals assures timely delivery of these scales at their end. Our company is instrumental in offering premium quality Loader Management System to our valuable customers. 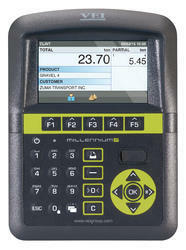 These systems are highly appreciated among our customers for their excellent in-motion weighing capacity. The team of quality controllers ensures that the all the on-going processes are carried out in conformity with the industry laid standards. Owing to our vast manufacturing facilities; we are able to supply, wholesale, distribute, trade, retail and export an impeccable range of Loader Scale. Advanced technology is employed by our experts in the manufacturing process following industry standards norms. Moreover, we make sure that these scales are delivered at clients' destination within the stipulated time-frame. 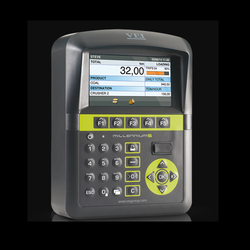 The most simple and cost-effective solution combined with VEI weighing technology makes it the ideal tool for primary weighing requirements. With its small size it can be fitted into the most convenient spot in the cabin. 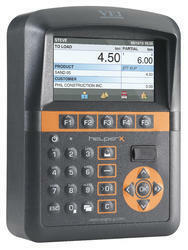 Looking for Payload Monitoring System ?